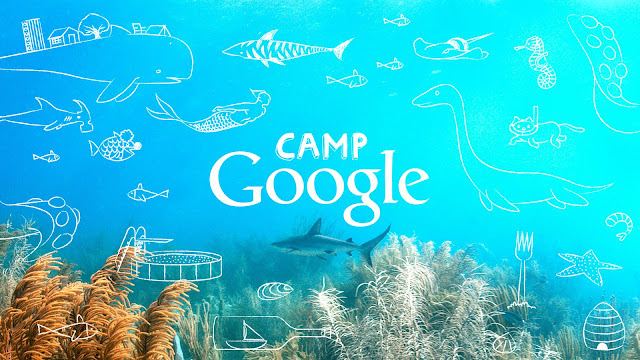 A GEEK DADDY: Are your kids going to CAMP Google during the summer break from school? Are your kids going to CAMP Google during the summer break from school? Looking for a way to keep your kids productive and learning over the summer break from school? CAMP Google is a FREE online opportunity for children to engage in interactive science activities and adventures that will run from mid-July through mid-August. Each week will have a different theme: OCEAN Week, SPACE Week, NATURE Week & MUSIC Week. Led by experts, the activities have been designed to encourage kids to ask questions, setting them on a lifelong journey of exploration and discovery. 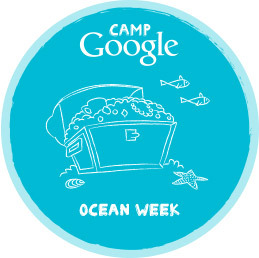 Our friends at National Geographic Kids will be kicking off Ocean Week on CAMP Google with a one hour LIVE stream at 3pm on Monday, July 13 2015 featuring National Geographic Explorer Dr. Sylvia Earle as she goes on a dive in the Atlantic Ocean. The even will be staged from inside Baseline Explorer's Submarine 'Nemo' where Earle will discuss marine biology, technology and then pilot an OpenROV pre-positioned several miles offshore through a wireless ethernet bridge. CLICK HERE to tune in for the LIVE video stream featuring National Geographic Explorers and for more information about how to join in on CAMP Google activities and online events. If you missed the live stream you can still watch the presentation by clicking the link. National Geographic Society Explorer-in-Residence Dr. Sylvia A. Earle has a B.S. degree from Florida State University, M.S. and PhD. from Duke University, and 22 honorary degrees. Earle who in 2014 was named a "Glamour Woman of the Year", has authored more than 190 scientific, technical, and popular publications; lectured in more than 80 countries; and appeared in hundreds of radio and television productions. 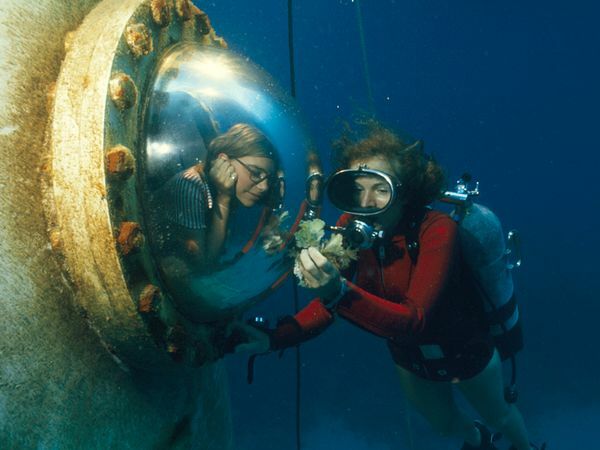 She has led more than a hundred expeditions and logged more than 7,000 hours underwater, including leading the first team of women aquanauts during the Tektite Project in 1970; participating in ten saturation dives, most recently in July 2012; and setting a record for solo diving in 1,000-meter depth. Earle's research concerns marine ecosystems with special reference to exploration, conservation, and the development and use of new technologies for access and effective operations in the deep sea and other remote environments. Her special focus is on developing a global network of areas on the land and in the ocean to safeguard the living systems that provide the underpinnings of global processes, from maintaining biodiversity and yielding basic life support services to providing stability and resiliency in response to accelerating climate change. Join in on the National Geographic Kids presentation at 3pm on Monday July 13th than participate in a variety of Ocean themed activities that CAMP Google will post on its website that kids can do around the house during the remainder of the week. Disclosure: A Geek Daddy is a member of the National Geographic Kids Insider blogger program. Insiders get a behind-the-scenes look at National Geographic’s resources, activities, content and projects for kids and families. They also review copies of books, magazines and toys, and are offered interviews with authors, explorers and editors.